The series features a cyberpunk story incorporating references to numerous philosophical and religious ideas where the heroes find a desperate war against machine overlords who have enslaved Humanity in an extremely sophisticated virtual reality gestalt. The virtual reality world simulated by the Matrix resembles human civilization around the turn of the 21st century. 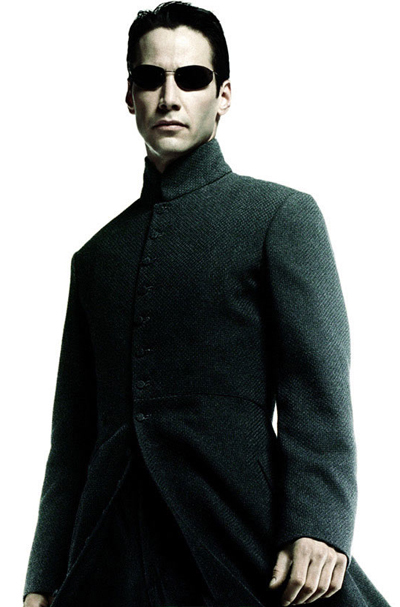 The majority of the stories in the Matrix franchise take place in a vast Western World unnamed megacity. This environment is practically indistinguishable from reality and the majority of bluepills - humans connected to the Matrix - are unaware of its true nature. Most of the central characters in the series are able to gain superhuman abilities within the Matrix by taking advantage of their understanding of its true nature to manipulate its virtual physical laws. 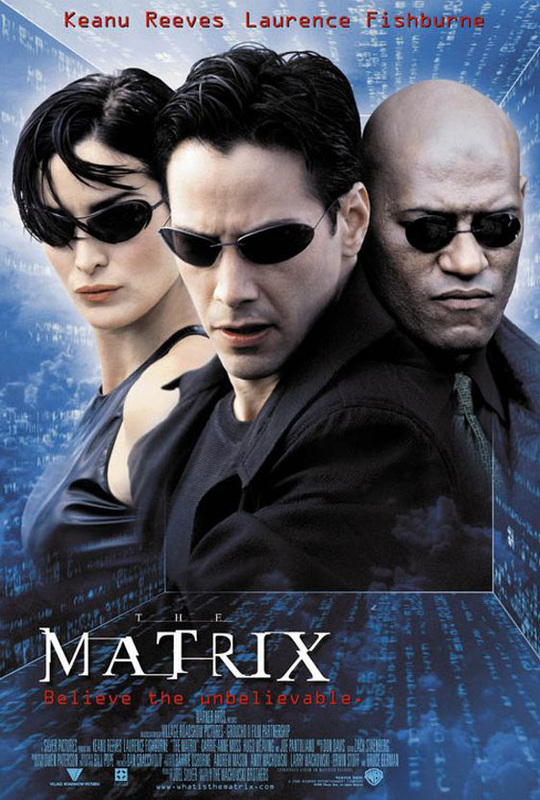 In this explosive final chapter of the Matrix trilogy, Neo, Morpheus and Trinity battle to defend Zion, the last real-world city, against the onslaught of the machines that have enslaved the human race. 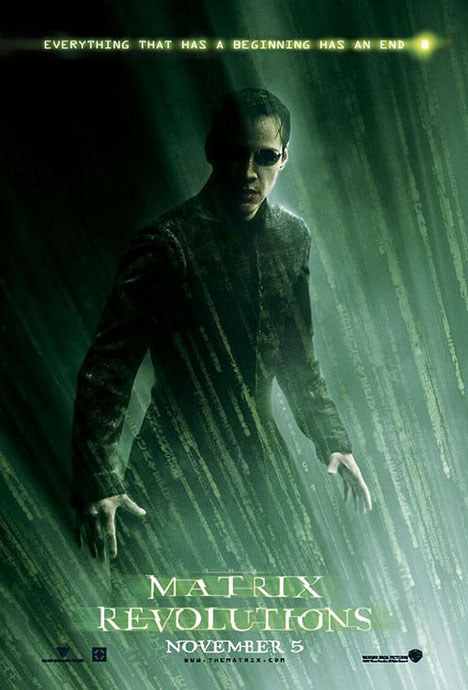 And, now as Neo learns more about his heroic powers--including the ability to see the codes of things and the people, he faces the consequences of the choice made in The Matrix Reloaded. Thomas A. Anderson is a man living a double life. One, working for a highly respectible software company. Two, a hacker under the alias "Neo". 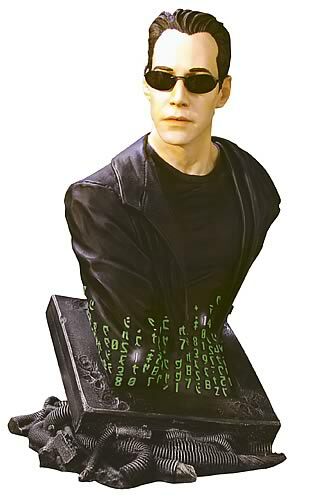 The Matrix follows the progression of Neo going from regular guy to being exposed to the Real World. 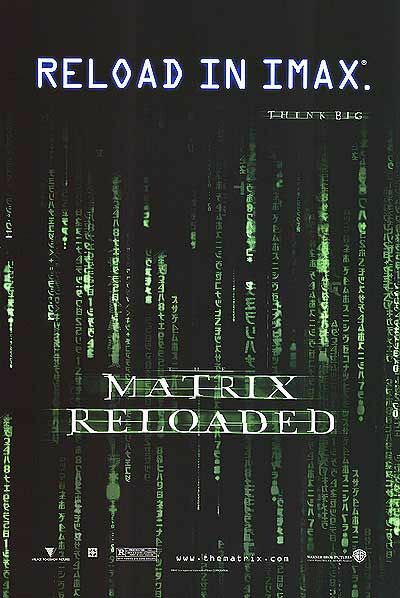 The revelation comes in that the world Neo thought was real was actually The Matrix, a computer program developed by machines in order to use human beings as batteries. Neo is thought by Morpheus - a person Neo has been desperately trying to find in the "real world" - how to control the Matrix. 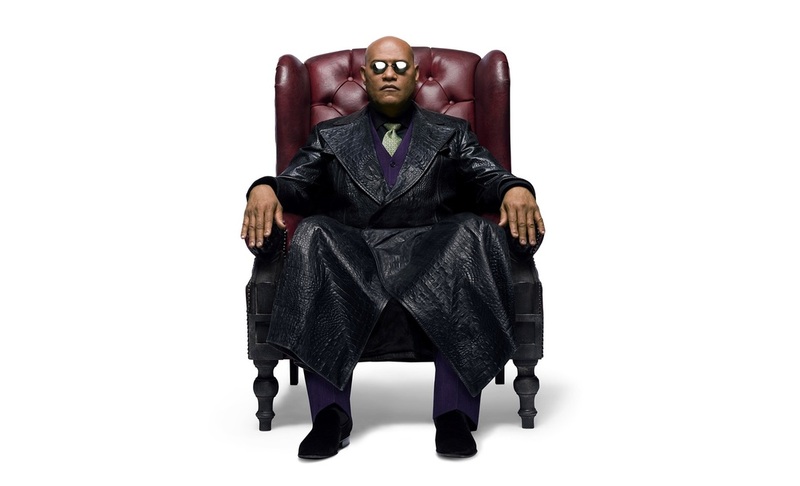 Morpheus feels Neo is the chosen one, the one who will set everyone free from the Matrix. Neo, along with everyone else involved in these missions, are constantly being pursued by Agents, sentient programs whose job it is to isolate those who hack into the Matrix and remove them. Keanu Reeves as Thomas A. Anderson / Neo: A computer programmer in Metacortex corporation who moonlights as a hacker. Carrie-Anne Moss as Trinity: Freed by Morpheus, crew member of the Nebuchadnezzar, Neo's romantic interest. 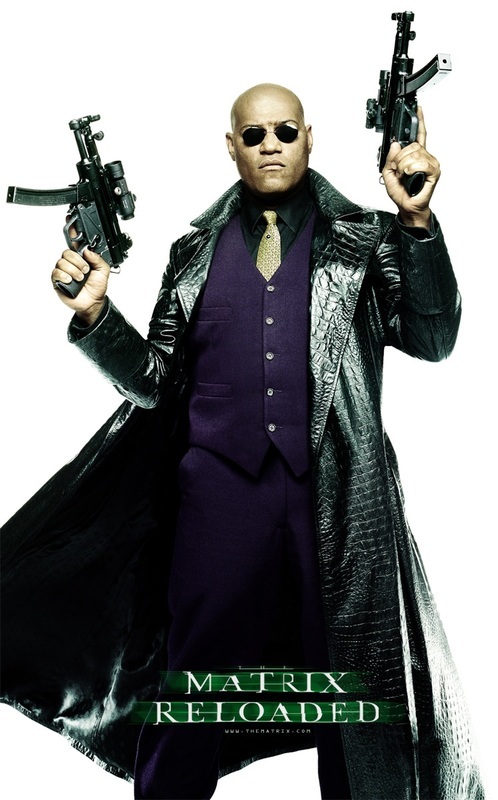 Laurence Fishburne as Morpheus: A human freed from the Matrix, captain of the Nebuchadnezzar. Hugo Weaving as Agent Smith: A sentient "Agent" program of the Matrix whose purpose is to destroy Zion and stop humans from getting out of the Matrix. 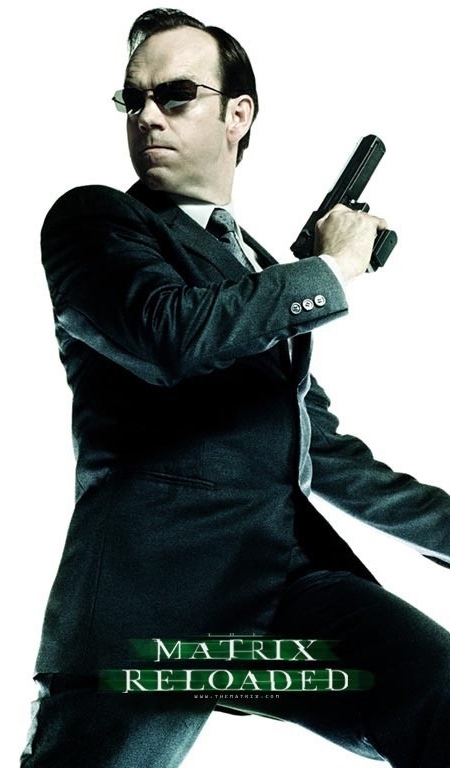 Unlike other agents, he has ambitions to free himself from his duties. Matrix Movie Prop Peplicas, Figures, Toys and Collectibles! 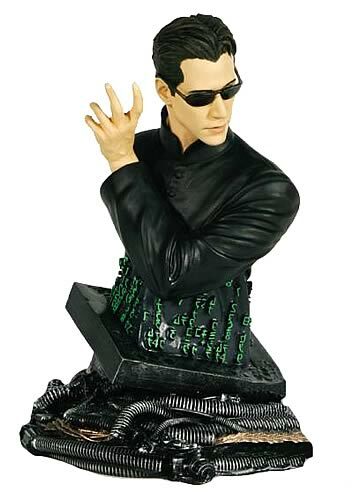 The Matrix "Neo" Mini Bust! From a new series of 6 ¼ inch tall, fully painted mini busts featuring characters from the most influential film in decades, The Matrix, as well as the two sequels. This bust is based off of three-dimensional scans of Keanu Reeves. Features sunglasses, packaged in deluxe special packaging. A numbered, limited edition collectible. 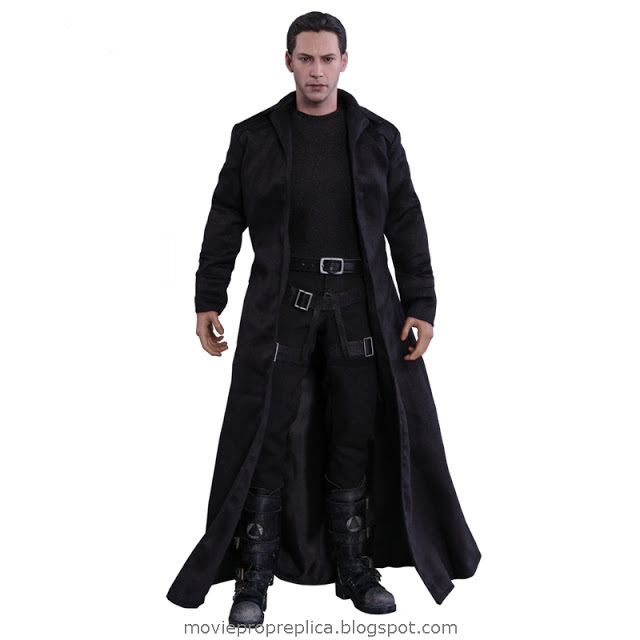 Matrix Reloaded Neo Mini Bust. Bust stands approx 6.5" tall and comes in ready prepainted to display in loose box. 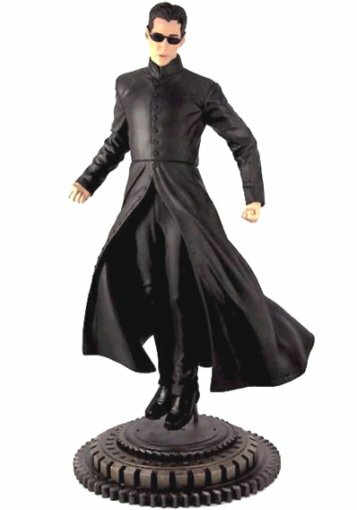 Gentle Giant concludes their series of sculptures from The Matrix with Neo as he appears in the conclusion. As always, the fine detailing and true-to-life sculpting make this 7-inch, fully-painted bust one of the very best available. One of the most intriguing characters of recent years is Neo. Audiences worldwide followed his evolution through a remarkable series of three films, culminating with Matrix Revolutions. Carrie-Anne Moss is Trinity, a key figure in The Matrix! 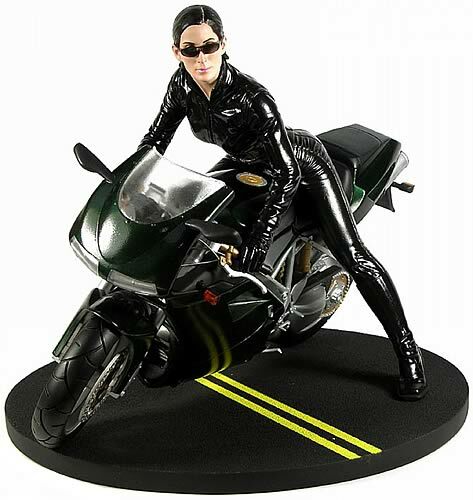 This statue features Trinity alongside her motorcycle in a 1:6 scale replica. Each 10-inch high, 14-inch long statue comes mounted on a base and packaged in an attractive box. 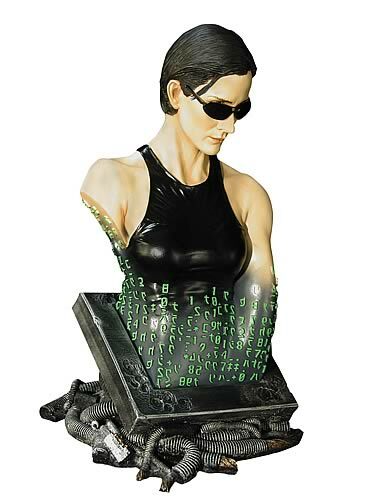 Limited to 1,500 pieces worldwide, this numbered collectible is a great way to bring The Matrix home. 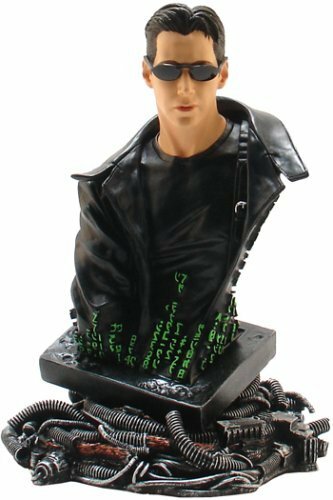 The Matrix "Trinity" Mini Bust! From a new series of 6 ¼ inch tall, fully painted mini busts featuring characters from the most influential film in decades, The Matrix, as well as the two sequels. This busts is based off of three-dimensional scans of Carrie-Anne Moss. Features sunglasses, packaged in deluxe special packaging. A numbered, limited edition collectible. In addition to the realism that has become Gentle Giant’s hallmark, extra care has been taken with this 7-inch piece in the area of paint application. The texture and finish of her bright red latex costume, with the green luminous patterns of the Matrix over-printed in 3-D, create an exotic bust that will satisfy the most discriminating collector. 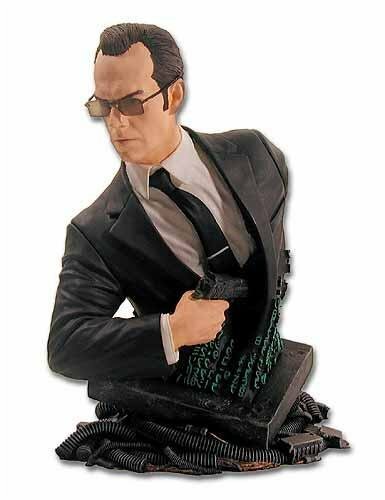 This limited-edition 6" tall resin bust of Agent Smith was created from a three-dimensional computer scan of Hugo Weaving. Gentle Giant Studios. Edition size: 7000 numbered pieces. From the Manufacturer: Sideshow Collectibles is proud to bring you the latest in Hot Toys' licensed figure collectibles, a Sentinel robot from The Matrix. Measuring over 15 inches long, the Sentinel 1:16 scale Collectible is an incredibly detailed representation of the squid-like robot from sci-fi blockbuster film. 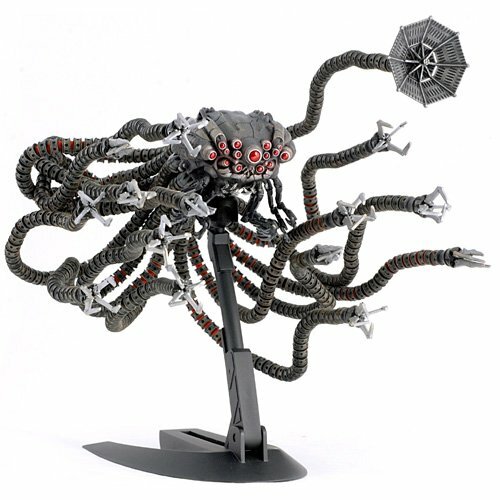 The Sentinel features 15 poseable tentacles, each with 2 points of articulation, and 10 poseable limbs beneath the main squid body, each with 3 points of articulation. Complete with a height-adjustable figure stand, the Sentinel Collectible is a must-have for any sci-fi fan. The red pill and its opposite, the blue pill, are popular culture symbols representing the choice between embracing the sometimes painful truth of reality (red pill) and the blissful ignorance of illusion (blue pill). Redpills are people who have chosen to face reality, while bluepills remain living in ignorance of the truth, whether by choice or because they have not had a choice. The series depicts a future in which Earth is dominated by sentient machines that were created early in the 21st century and rebelled against humanity. At one point, humans attempted to block out the machines' source of solar power by covering the sky in thick, stormy clouds. During this time, the machines and mankind were engaged in a massive war in which the machines ultimately emerged the victor. Having no definite source of energy, the machines devised a way to extract humans' bioelectricity and thermal energy by growing people in pods, while their minds are kept under control by cybernetic implants connecting them to a simulated reality called the Matrix. In the movies The Matrix Reloaded and The Matrix Revolutions, Persephone (Monica Bellucci) is the wife of The Merovingian. - In The Matrix Reloaded, Persephone is attracted to Neo and offers to help him if he kisses her with the same passion with which he has kissed Trinity. Reluctantly, he complies and she helps him free the Keymaker. Later, she kills one of her husband's employees. - In The Matrix Revolutions, Persephone warns The Merovingian that Trinity would indeed kill everyone in Club Hel to free Neo from the Train Station, simply because she is in love. This suggests that Persephone perceives and understands love, and may be disheartened by the cynicism of her husband, who seems to be driven solely by greed and lust.